WASHINGTON – Arizona lawmakers told the federal government in 2008 that the state would not cooperate in the Real ID Act, a post-9/11 law that aimed to make it harder for potential terrorists to get fake IDs. The first fallout from the decision could begin to be felt in Arizona on Monday. That’s when residents of states that have not complied with the Real ID Act – Arizona is one of 11 such states – will not be able to use their driver’s licenses to get in to restricted areas of nuclear power plants and federal facilities. In January, the list of areas requiring a second form of identification, like a passport, would expand to include all federal facilities that require identification. Ultimately, the restriction could apply to people trying to board a plane – although that will not come until at least 2016 and only after a Department of Homeland Security evaluation. It might be time for the state to revisit the Real ID issue before then, said Rep. Debbie McCune Davis, D-Glendale. None of that was on the mind of lawmakers in 2008 when they approved, and then-Gov. Janet Napolitano signed, HB 2677, which prohibits the state from becoming Real ID compliant. U.S. Rep. Kyrsten Sinema, D-Phoenix, was a member of the Arizona House of Representatives when she sponsored the bill along with former Rep. Russell Pearce, R-Mesa, and others on both sides of the aisle. The Arizona Republic quoted Sinema at the time saying she had privacy concerns about Real ID and supporting databases. Sinema could not be contacted this week to get her feelings on the law now. Requests for comment from Gov. Jan Brewer’s office were not immediately returned. But when state bureaucrats were asked if they were rethinking compliance with Real ID, they pointed to the state law that says flatly that they cannot. The act established standards for producing and issuing state driver’s licenses and identification cards, according to a Department of Homeland Security website. 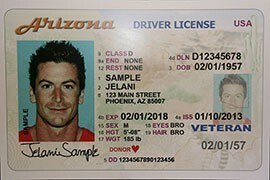 Standards included elements already on licenses – full name, gender, date of birth, a photo – to security features meant to deter tampering, a check against Social Security records and a database of all the license information that could be accessed by any state, among other requirements. 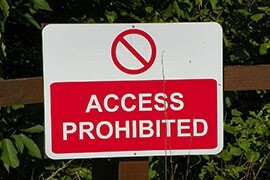 It also authorized grants to help states implement the standards and prohibited federal agencies from accepting identification from states unless they meet the standards. Late last year, the Department of Homeland Security announced the phased enforcement program for Real ID. The first phase kicked in April 21, and affected anyone trying to get access to restricted areas of the Department of Homeland Security’s headquarters in Washington. The second phase is Monday and the third is Jan. 19. DHS said 39 states and four territories are either in compliance with the law or have asked for an extension – even some states that have laws against compliance, as Arizona does – that will let residents of their states use their driver’s license alone for access. Residents of 11 states, and American Samoa, that have not complied will have to provide some additional ID, like a passport or an “enhanced” driver’s license in those states that allow residents to apply for them. “My hope was that there would be some negotiation between the state and federal government about offsetting costs so that the state could comply,” she said. That didn’t happen. And McCune Davis said state residents could start feeling the effects. “I think Arizona residents will be quite surprised to discover that their state-issued identification doesn’t work at federal facilities,” she said. 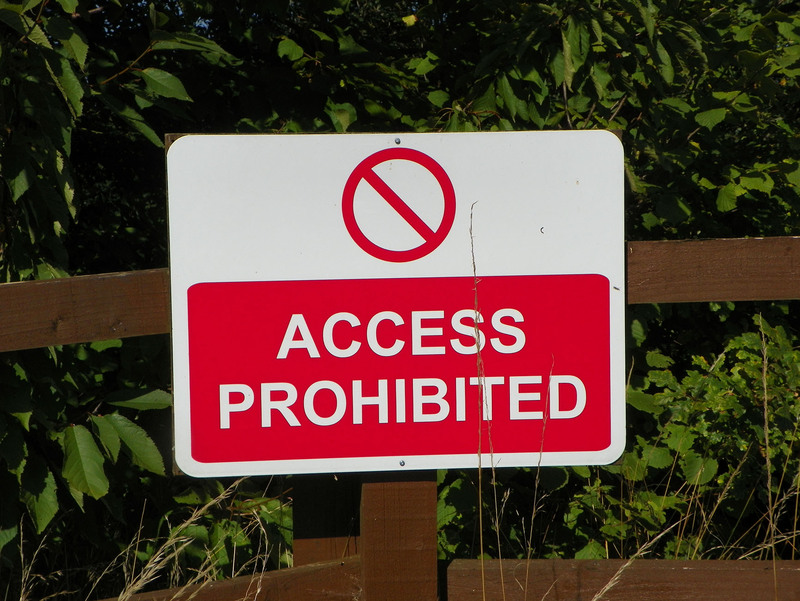 Arizona residents may need to provide a form of ID other than their driver's license to gain access to restricted areas of some federal facilities, as new restrictions begin to take effect for states that do not comply with the fedearl Real ID act. Arizona is one of 11 states, in yellow, whose driver's licenses do not comply with federal "Real ID" standards and which has not asked for an extension to meet those rules, the effects of which could soon be felt. Click on the map for details on each state. 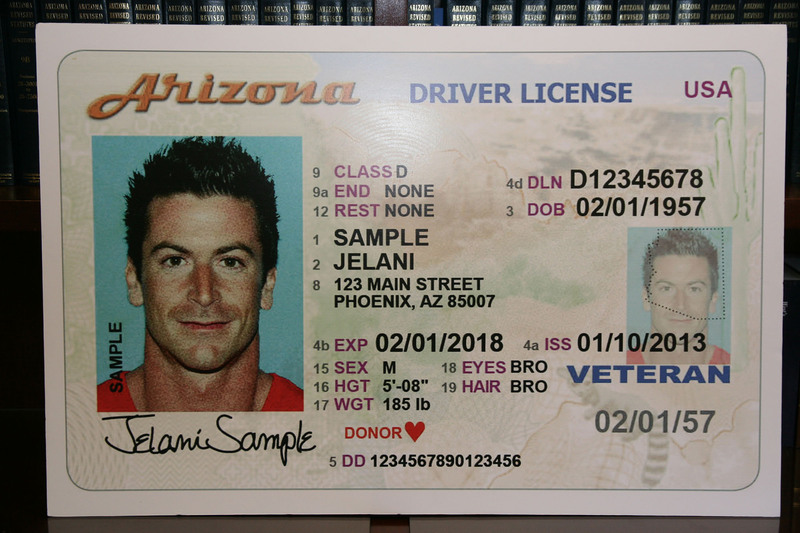 Arizona driver's licenses do not comply with the federal Real ID Act, which requires tamper-proof measures, specific data and sharing of that data between states - a security concern that led the state to refuse to comply.